I have had the Canon EF-S 18-200 f/3.5-5.6 (dpreview.com review here) lens for about 2 years now, and although (as far as Canon lenses go), it gets a pretty bad rap. For general shooting in most situations, it certainly beats swapping out lenses while on the go. Recently the zoom capability just stopped, I couldn’t zoom anything below 25MM, which incidentally meant I couldn’t lock it either. Occasionally, it wouldn’t go above 135mm either, but a shake of the lens would dislodge one fo the screws that was hampering movement and you could go all the way to 200mm. You could hear (at least) one screw moving around in there, and I suspect another that stopped the zoom retracting all the way back to 18mm. A search of the web found a Canon Recall on this item. I’ve been in Thailand now for a few months, and this week I am in Bangkok, which happens to have a service centre. I called them up and they said, “Yep, come in and we can fix this.” Well, not in those words, but you get the picture. But then the other day, I get a phone call from them. It will cost 963 (my heart is pounding at the moment, the lens isn’t worth that much! ), but then finished her sentence off with Baht. 963฿, so about A$30. So I shouldn’t really complain. I went and picked it up on Friday (just gone) and it’s back to normal. I know it was subject of a recall, but for $30 they’ve pulled it apart, fixed it, and probably gave it a bit of a clean, or at least a check over. Maybe, in that case, it’ll be good to go for another couple of years! We have discovered that some EF-S 18-200mm f/3.5-5.6 IS lens products may have screws that come loose inside the lens and which may interfere with zoom operation of the lens. We would like to convey the details and our service policy. We offer our sincerest apologies to customers who have been inconvenienced by this phenomenon. Canon always strives to provide the highest quality products to our customers and we spare no effort in our quality management to make sure our customers can use our products with confidence. We hope our efforts will earn your understanding. There are cases in which the zoom barrel gets stuck and stops moving during zoom operation. The products with this phenomenon will be inspected and repaired free-of-charge. If you own one of the affected products, please contact our customer service hotline. We appreciate your patience, and we offer our sincerest apologies to the customers using these products who have been inconvenienced by this issue. Our free repair service will start on 22 February 2011. 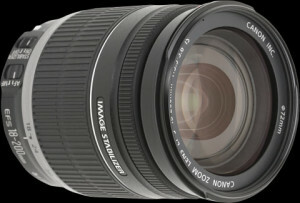 Where do you find the serial number on the lens. I was lucky at the time because I was living in Thailand and not too far from their head office and repair facility. The head office in Australia is at Macquarie Park, although you probably wouldn’t have to venture all the way there to sort it out. Try giving them a call first and ask them about it. Phone: 131383. Make sure you check the serial number and remind them there was a recall on this product. It can’t hurt to try and get it done for free!